In the recent case of Healy v HMRC  the First Tier Tax Tribunal (“FTT”) allowed Mr Tim Healy (probably best known for playing Dennis Patterson in the television series Auf Wiedersehen) a deduction from his professional income for renting a flat during a long running production where he was performing. HM Revenue and Customs (“HMRC”) appealed to the Upper Tier Tax Tribunal on the basis that the FTT wrongfully applied the ‘wholly and exclusively test’ under section 34 of the Income Tax (Trading and Other Income) Act 2005 (“ITTOIA”). 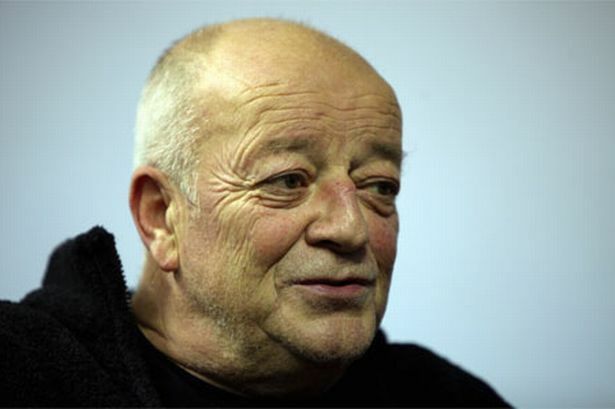 An actor, Mr Tim Healy, appeared in the musical Billy Elliot for nine months. On 15 April 2005, Mr Healy entered into a tenancy agreement to rent a flat just over a mile from the theatre, for a fixed term of 52 weeks, at a rent of £875 per week. Mr Healy claimed a total of £32,503 for accommodation expenses. Mr Healy’s expenditure covered the 36 week period in which Mr Healy was performing. Section 34 of the ITTOIA states that in calculating the profits of a trade, no deductions is allowed for expenses not incurred ‘wholly and exclusively for the purposes of the trade’, or any losses not connected with or arising out of the trade. Section 34(2) states that were an expense is incurred for more than one purpose, the law does not prohibit for a deduction for any identifiable part which is wholly or exclusively for the purpose of trade. Mr Healy argued that deduction from his professional trading income as an actor, namely the costs of renting a flat close to the theatre is tax deductible under section 34 of ITTOIA. HMRC argued against this by stating that Mr Healy’s expenditure served both business and private purposes, and therefore cannot be deductible because the expenditure has a dual purpose. The FTT found that the sole purpose of renting the flat was ‘wholly and exclusively in connection with his profession as an actor’. The FTT was influenced by the fact that Mr Healy had chosen to live in Cheshire and did not consider moving to London, but found it necessary so long as he is appearing in Billy Elliot. The Upper Tier Tax Tribunal stated that the FTT did not apply the right test under section 34 of ITTOIA. The Upper Tier Tax Tribunal confirmed that the FTT should have considered whether there was a dual purpose for Mr Healy renting the flat and consideration should have been provided as to whether the effect of renting the flat, namely to keep warm and provide a shelter, as merely incidental to the business purpose. The Upper Tier Tax Tribunal concluded that the FTT failed to apply the ‘wholly and exclusively test properly and in doing so made an error of law’. The Upper Tier Tax Tribunal stated that it is necessary to establish a subjective basis as to what was in Mr Healy’s mind when he decided to enter into the tenancy agreement. As Mr Healy was not present before the Upper Tier Tax Tribunal, this issue was not properly explored and the matter was remitted to the FTT. The decision by the Upper Tier Tax Tribunal suggests that Mr Healy’s expenditure was “wholly and exclusively” for business purposes, even though it is inevitable that such accommodation will also provide warmth and shelter. However, the Upper Tier Tax Tribunal stated that the FTT should have ascertained whether there was a dual purpose for entering into the agreement for the flat in London. This is surprising considering that the Upper Tax Tribunal Judge stated ‘I do not find that there was a duality of purpose’. The Upper Tier Tax Tribunal stated that Mr Healy’s ‘subjective purpose’ was nothing more than to provide himself with the equivalent of hotel accommodation. However, considering Mr Healy did not provide evidence at the hearing, it is hard to envisage how the Upper Tier Tax Tribunal reached this conclusion. Also this suggestion is inconsistent with the House of Lords decision in the well-known case of Mallalieu v Drummond , where the majority of the House of Lords held that Miss Mallalieu’s need for warmth and decency was a subjective element, and therefore the whole of the expenditure was disallowed on the grounds of duality of purpose.